Steve Hendon is a veteran in the world of small business development, having spent 40+ years in sales, sales management, marketing, team building, and training. As a business owner, manager, and coach, Steve has worked with a wide range of business owners and entrepreneurs, from product and service companies to practice owners in the legal, healthcare, and financial industries. He believes that business fundamentals are important to the success of any business and by going deeper to really understand your special gifts you have an even greater chance of success. Those special gifts are your talents and strengths. When you understand those, you see yourself and your business with a whole new perspective. Every client is unique and deserves to discover how to connect with the best of whom he or she is. He is also a certified Strategic Attraction™ Coach and is trained to administer the DISC Behavior and Motivator assessments through his affiliation with Target Training International. He is a co-founder of Maximize People. Maximize People provides training and support in the applied science of Positive Psychology and serves people in 15 countries around the world, and counting. Steve serves on the board of directors for the Cedar Hill Chamber of Commerce and is the Chair-elect for 2019. He facilitates the monthly Competitive Edge Business Forum at the Chamber, works with the Youth Entrepreneur Partnership, a training program for young entrepreneurs, and chairs the Innovative Training Committee. Steve’s business, Practice To Business was awarded the 2016 David C. Wilson Distinctive Business Award for outstanding leadership and volunteerism. Janiece Upshaw is an Assistant Professor and serves as Program Coordinator for the Graduate School of Public Leadership at the University of North Texas Dallas. Her teaching is focused on increasing the quality of leadership in nonprofit organizations. She has also extensively researched the role of nonprofit leaders in building social capital before and after events of public violence. The Public Leadership program utilizes a “Community as the Classroom” model in which students interact with community leaders and organizations to prepare them for work in the public or nonprofit sectors. Dr. Upshaw serves as affiliate faculty with UNT Dallas’ Urban SERCH Institute She served as the program coordinator and one of the presenters for SERCH’s Community Leadership Academy, the nation’s first peer leadership training for combined cohorts of law enforcement officers and citizens. In addition, she supervises graduate students’ research in the community. Recent research has included a Community Needs Assessment of the Moorland, Lakewest, and Oak Cliff neighborhoods of Dallas in partnership with the YWCA; performing a food insecurity and transportation access study of the Red Bird area; and assessing The School Zone collaborative model in comparison to the Harlem Children’s Project. In August four additional research projects will focus on the Lakewest YMCA, the Five Mile Neighborhood, the Dallas Police Department; and Volunteers of America’s Residential Reentry Program in Hutchins. 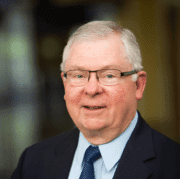 Before joining UNT Dallas, Dr. Upshaw held top-level administrative positions for nonprofit organizations including the Alzheimer’s Association, the YWCA of Metropolitan Dallas, Big Thought, and Volunteers of America Texas. She worked in Dallas ISD and Richardson ISD and has provided consultation services to many other nonprofits. Dr. Upshaw received her Master of Science in Social Work from the University of Texas at Arlington and her doctoral degree in Public Affairs from The University of Texas Dallas. She and her husband of 31 years have two adult children and will soon welcome their second grandchild. 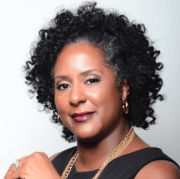 nonprofit sector, ConnectThree was founded out of her experience, proven executive skills and passion for empowering nonprofit leaders to pursue personal purpose while leading with visionary excellence. Errika is best known as “the connection catalyst” equipped with the ability to strategically guide and facilitate leaders and organizations in the development, implementation and funding for exciting and innovative new initiatives. Errika is a collaborator that approaches each opportunity by quickly assessing agency strengths and opportunities, connecting them to other agencies and resources that can address their weaknesses, and producing a collaboration that is far more impactful than any one partner could be alone. Her ability to make the right connections has helped leading social services agencies secure significant campaign funding by guiding them in the acquisition of new funds through individual and foundation revenue. 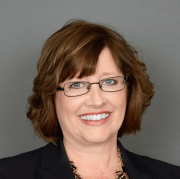 Over the years, her work with various agencies also motivated her to develop a new generation of leaders who think critically, act courageously, and work collaboratively in the ever changing and highly competitive nonprofit arena. Consequently, ConnectThree not only provides innovative strategies for agencies, but professional networks that produce high-performing professionals who reflect the communities that they serve. Errika is fully engaged in her community and serves on various boards and within her church. She and her husband, Greg, are the proud parents of a beautiful daughter, Sydney and reside in the Desoto, Texas.